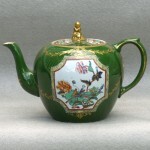 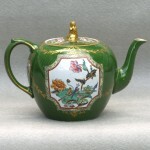 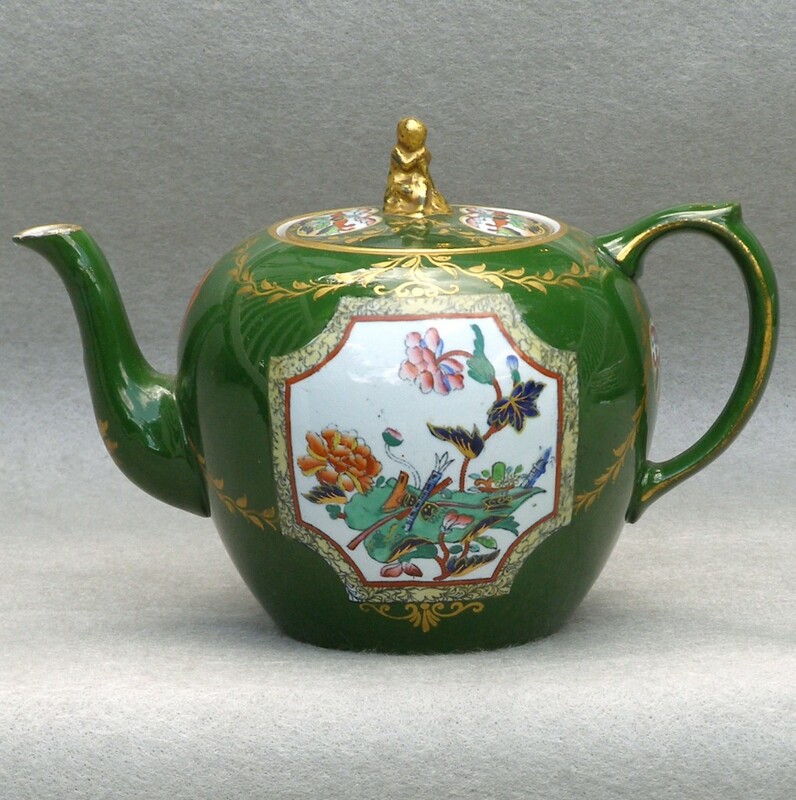 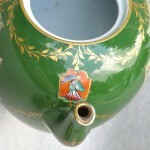 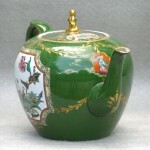 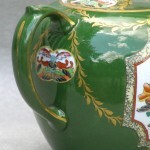 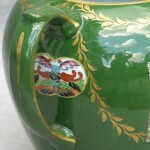 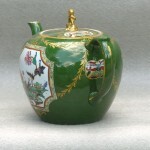 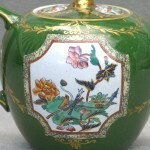 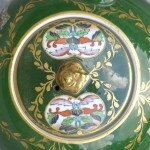 A handsome teapot with a deep green (British racing green) body and vignettes of flowers, a Chinese figure with a parasol behind the spout and gold swags. 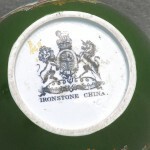 The bold British Crown Armorial mark on the base corresponds to the 1862-1968 ownership of G. L. Ashworth & Bros. who continued to use the Mason’s ironstone designs and molds. 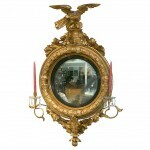 Excellent antique condition with only light rubbing of the gold. 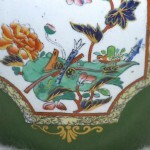 A complete example with upper and lower foliage, candle arms, period crystal bobeche, and a vigorously executed eagle to top it all off.